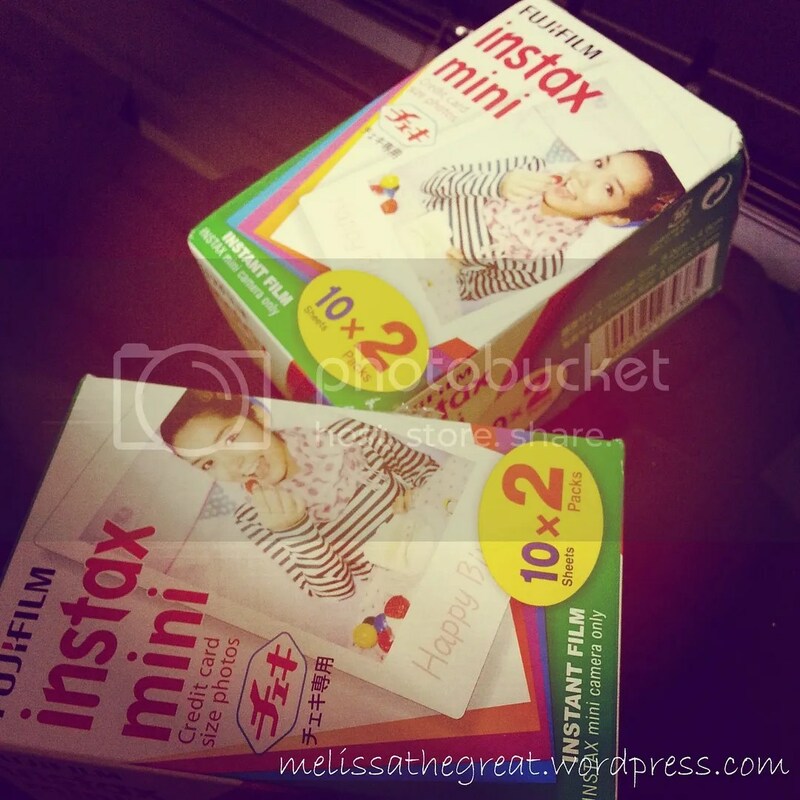 Introducing my new toy – Instax Mini 8 by Fujifilm. 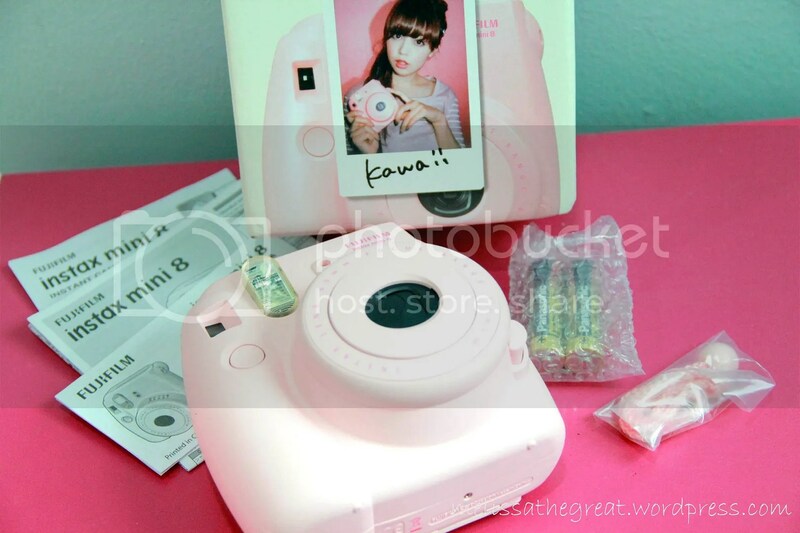 Been wanting to own one instant camera. Despite having my dear DSLR. Those days, instant cameras are quite expensive. 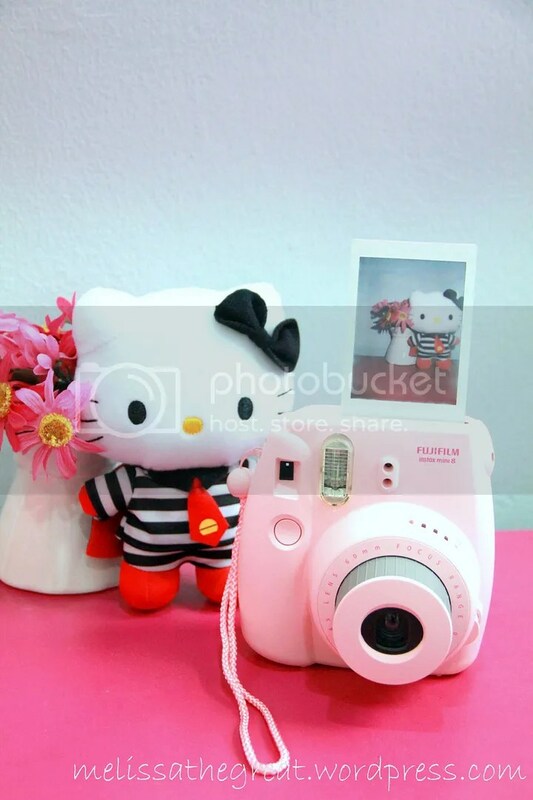 Now, they have wide range of instant cameras with fancy fancy designs at a lower price. Alex knew I wanted it so much. Therefore he bought one for me. Yippie! Ok la..I know I hardly say ‘rou ma’ stuffs to Alex here. But thank you Darling… ♥ hehe…. 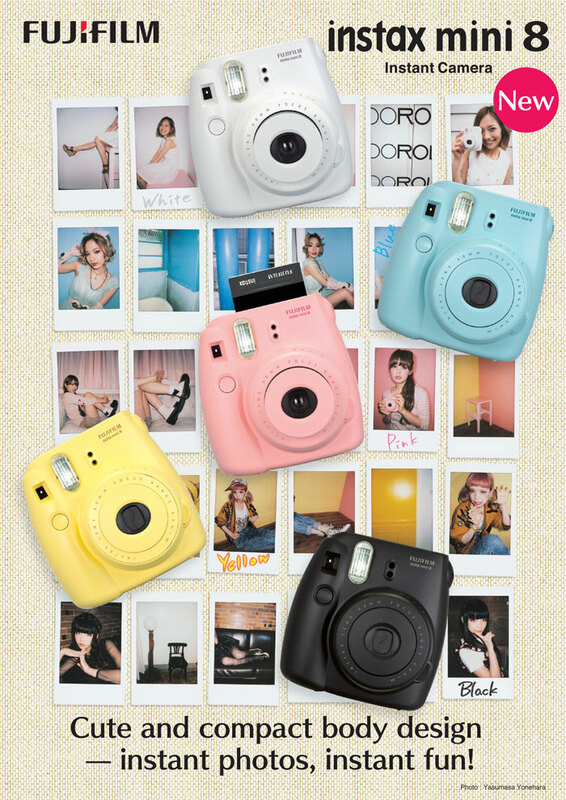 Instax Mini 8 is current latest model in Malaysia. It comes in 5 different colors. What is your favorite pick? 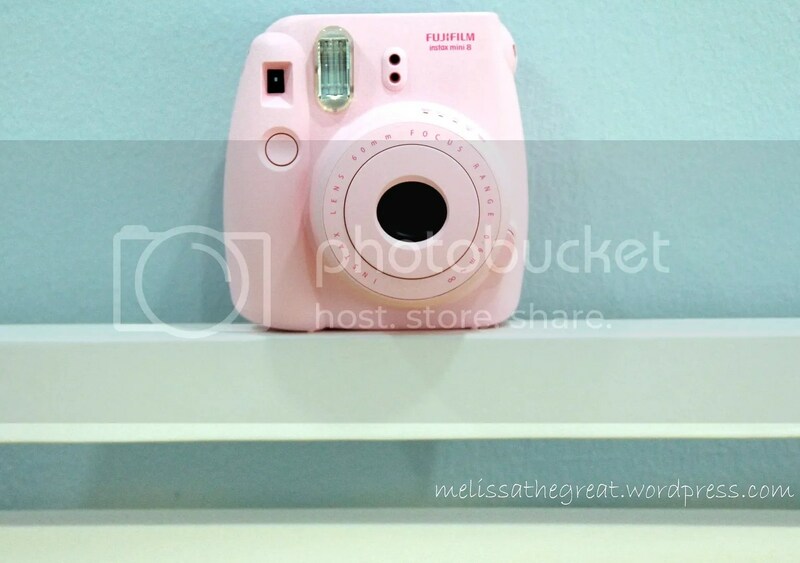 I love the pastel colors of Instax Mini 8. The anticipation to unbox the camera! Yes…pink is my favorite pick. All the above are included in the box. 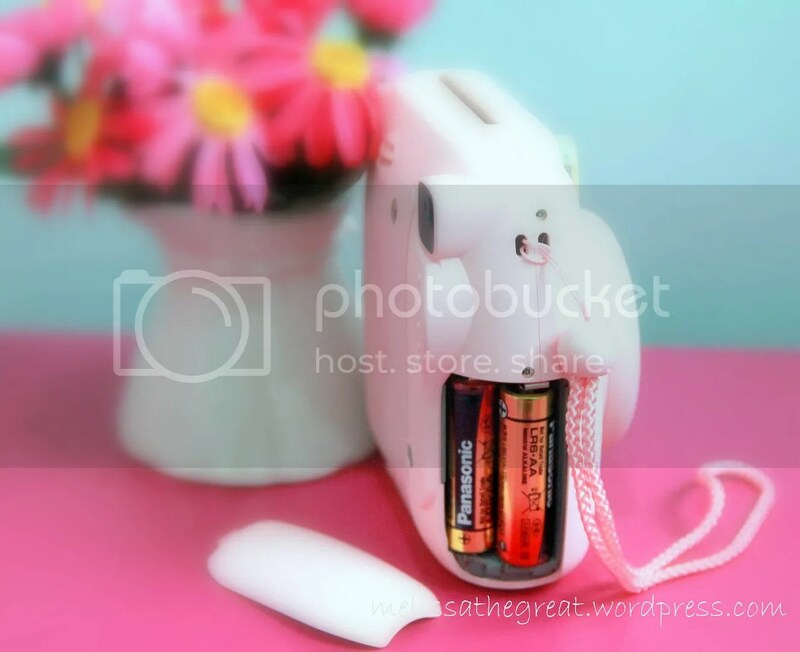 2 xAA batteries, a pink strap, instruction manual and the camera. This is where you place the 2xAA batteries. In this case; the auto detected brightness is “Indoors, Night F12.7” because the lit lamp in positioned at the indoor symbol. Therefore I’ll need to turn the brightness adjustment dial to the position (mark) of the lit lamp. But if you would like to have a brighter outcome, tune it to the “Hi-Key” mode (far end). However avoid using “Hi-Key” when you shoot outdoor under a bright and sunny sky. Else your photo will turn out too white. 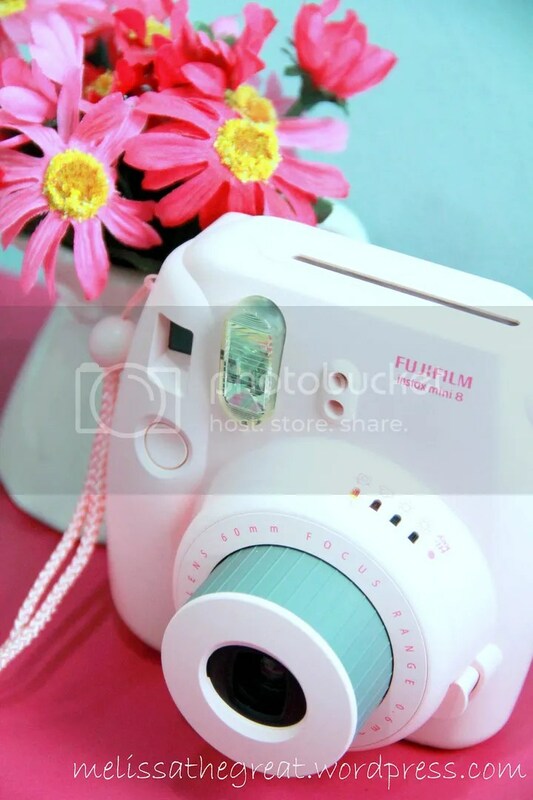 Uses Fujifilm Instant Color Film “instax mini”. I must say that the film price is quite pricey. We got them for an offer price. RM20/box. Each film box contain 10 pieces of credit card size film. 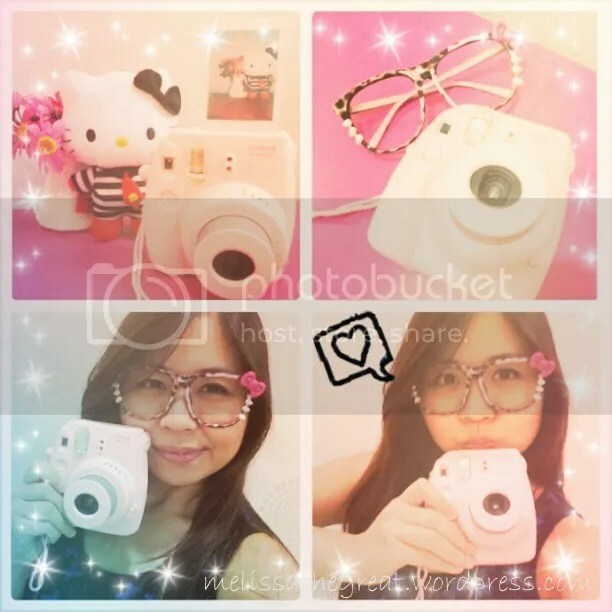 Ta daahh…my 1st shot of instant photo using Hello Kitty as model. HAHA! You are not required to shake or wave the film once its released from the camera. It takes about 2 minutes for the image to be fully appear. *Alamak* How come the image senget wan? My eyes are senget meh? Note : Keep a distance from the subject of at least 0.6m. The flash has an effective range of between 0.6m to 2.7m. A short video on how to operate the camera. A summary of the camera. Yoooooooooooo your hubby so goooooooooooood!!! Wan to bribe me to cook more for him kut. Wahahahha! 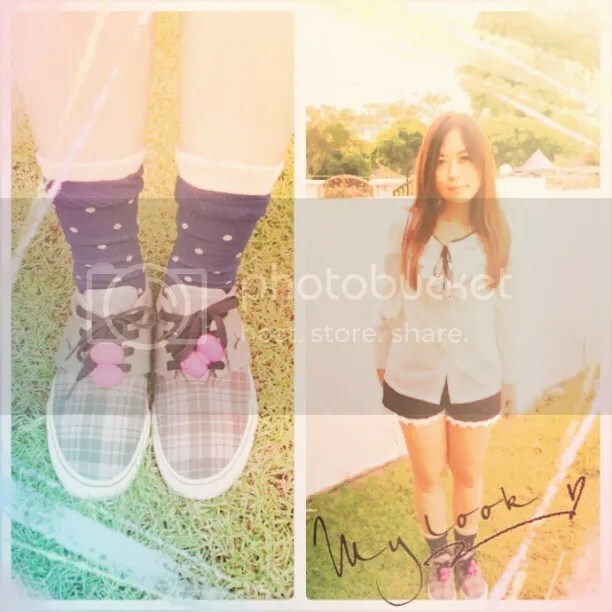 btw, ur last photo is super cute ler! kawaii! “(though probably not appropriate for any guy above 12 years old) ” …LOL!! If hold a black color one, I think it should be fine. 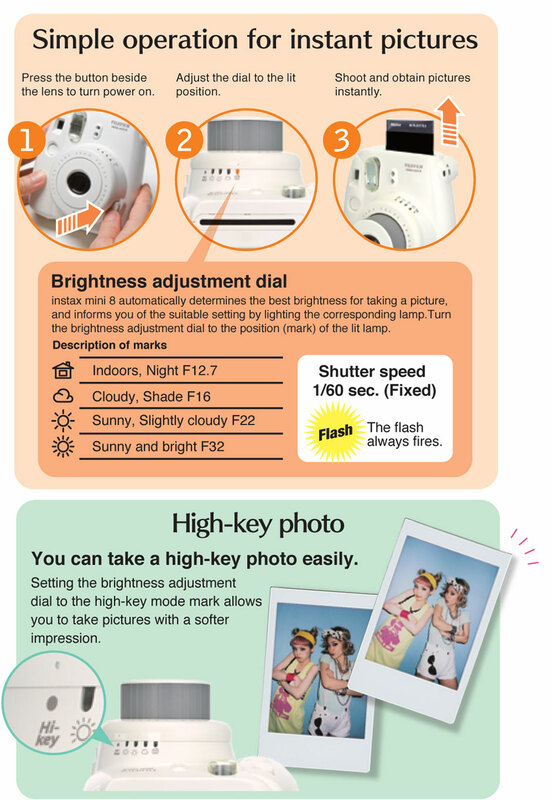 Cos I saw before the advertisement (different instax model) uses guy model! But they both holding white and black color. Baby Sumo’s hub oso nice nice…. I mean the camera… Hehehehehehe!!!! mine was white and hot pink one…bought it two years back! Ohhh…I know which one. mini 7 rite? will the photo faded after sometimes? Choi Yen – Hmm..it seems, the quality will change if exposed to strong light , high temperatures & high humidity. Hi emily. Thanks for dropping by. Thank you! And I like how you do your vids review. simple, nice and informative! where did you get film for such cheap price? Hi… I got the deal from Living Social. Back then was selling RM80 for 4 boxes. But now the price has increased to RM88 for 4 boxes. How much the polaroid in malaysia?? how to adjust if the picture turn too white ? Hi hannan…you may try to calibrate/adjust to “indoor” mode or avoid using ‘Hi-key’. Hi I have a question. I wanted to take a picture outside with the camera and I did but it came out practically black. How do you take a good picture on this camera outside at night? I’ve not tried taking photos at night scene yet. But I think its ISO may not be sufficient for low light scene. Anyway…do check the expiry date of your film too. The photos will turn out to be darker color when the film has expired.